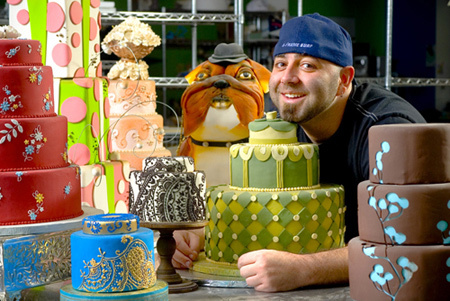 Celebrity guests on The Domino Sugar and Bosch Main Stage include the Ace of Cakes Duff Goldman; Brian Emmett, winner of CBS’s The American Baking Competition; Heather Saffer, a winner on Food Network’s Cupcake Wars; as well as from Sally’s Baking Addiction, Sally Quinn. Just like Charlie in Willy Wonka’s chocolate factory, you can take a tour of the best sweets and baked goods that America has to offer at this year’s America’s Baking and Sweets Show. This delicious and inspiring event returns to the Schaumburg Convention Center (1551 N. Thoreau Dr., Schaumburg, IL 60173) from November 13-15, 2015 with the theme of Charlie and the Chocolate Factory.